Enjoy breathtaking views and premier finishes in this sprawling, meticulously renovated full-floor duplex in one of Yorkville's most beautiful buildings. 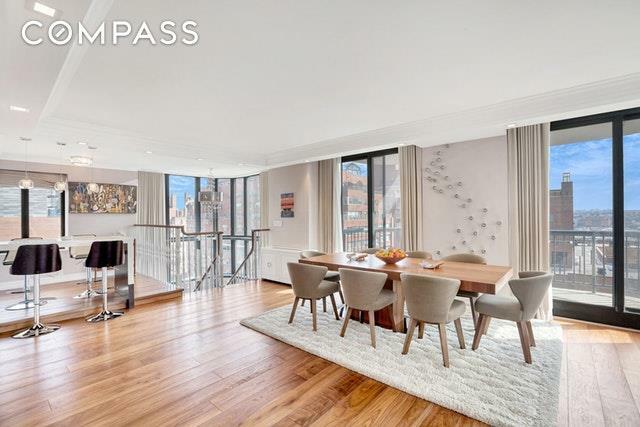 Spanning approximately 3,200 square feet, this stunning home combines townhouse-like privacy and high-floor serenity, all surrounded by several private balconies and windows on all four exposures. 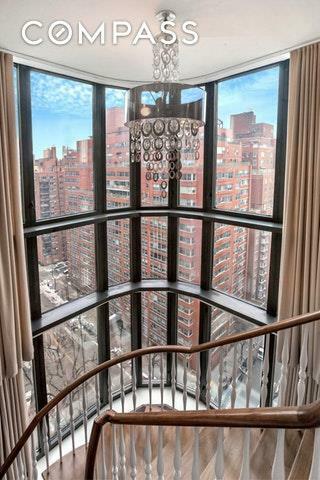 Arrive in this stunning showplace via a private elevator landing and take in sweeping river views from the great room's wall of windows and two east-facing balconies. Jaw-dropping double-height windows frame spectacular sunrises, and a staircase here leads to the lower level where you'll find an oversized media room with a balcony of its own, plus a powder room, office and storage. Back upstairs, chefs will flock to the gorgeous kitchen where glass countertops and ample cabinetry surround top-of-the-line appliances by Miele, including a convection oven and built-in microwave. Bedrooms are placed down a long hallway lined with closets and another convenient powder room. The tranquil master suite features views to the south and west, two large closets and a beautiful en suite bathroom. Three more spacious bedrooms, one with a private balcony, boast large closets, fantastic views and easy access to another well-appointed full bathroom. Currently configured as a four bedroom home, the lower level could easily serve as a fifth bedroom, if needs require. Floors throughout the home are paved in wide-plank walnut hardwood and premium tile. Through-the-wall air conditioning ensures year-round comfort, and remote-controlled window treatments and prewired speakers add convenience and ease. This building permits the addition of in-unit washer dryer hookups. 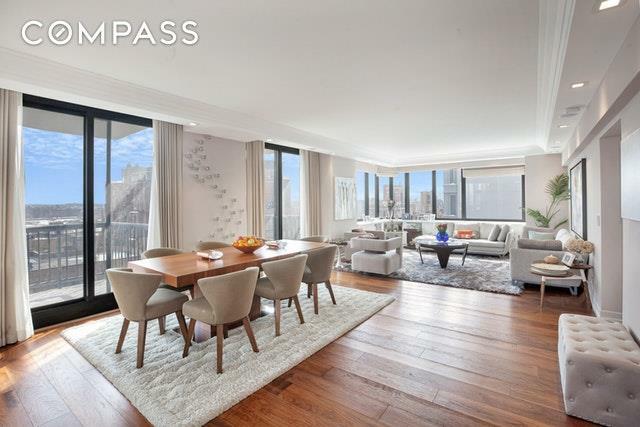 Monthly assessment until December, 2019 of $2,500.52 East End Avenue is a modern condo building offering 24-hour doorman and concierge service, live-in superintendent, a fitness center, laundry and bike room. Located at the corner of East End and 82nd Street, great Upper East Side shopping, restaurants and nightlife venues surround the building on all sides. With gorgeous Carl Schurz Park and the East River promenade nearby, breathtaking riverfront outdoor space, dog parks and a playground are seconds from your front door. 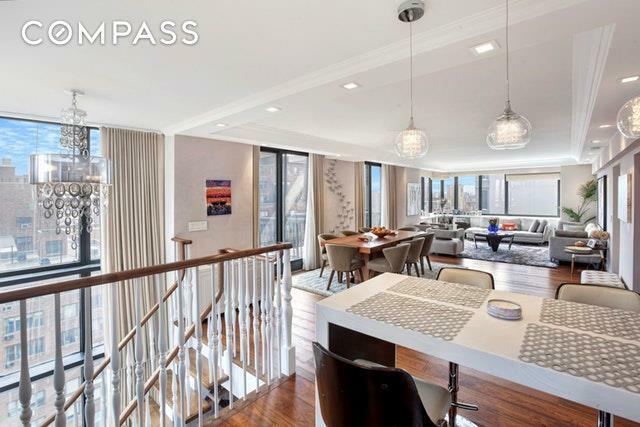 Transportation from this peaceful enclave is effortless with the Q train, abundant bus service and the FDR all within blocks. Listing courtesy of Natalia Gavrilov of Compass.